The Cancer Imaging Archive (TCIA) is provided by the Cancer Imaging Program (CIP) as a service to the research community. The Cancer Imaging Archive (TCIA) de-identifies and hosts a large archive of medical images of cancer that are accessible for public download. The data is organized as “Collections” by a common disease (e.g. lung cancer), image modality (MRI, CT, etc.) or research focus. This site also supports data related to the images such as patient outcomes, treatment details, genomics, pathology, and expert analyses that are also provided when available. 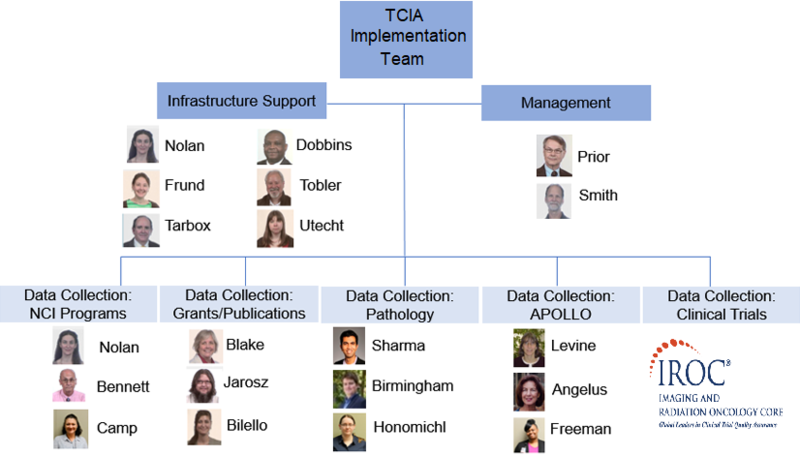 The Cancer Imaging Informatics Lab manages the TCIA subcontract which is implemented by University of Arkansas for Medical Sciences.